If you’re planning on picking a vineyard as your wedding venue, wine-themed wedding arrangements all around could make a lot of sense. 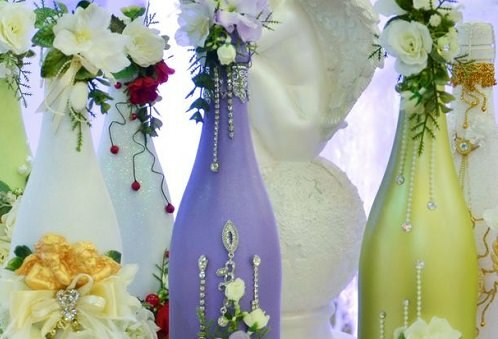 To many who simply love wine for the class and sophistication that it represents, though, a wine-themed wedding can go well with any venue. If this is you, the 10 wine-themed wedding ideas below should help you get off to a good start planning your wedding. A wine bottle with a custom label can make a great invitation or save-the-date. Your guests will know right away about the kind of wine-inspired theme you have in mind. Since sending regular-sized bottles of wine can be prohibitively expensive, you only need to use mini bottles.